Abstract: The presentation will outline the key drivers and applications of high speed optical fiber networks. Furthermore, we discuss transmission challenges and key technologies for current 40G transmission systems and future 100G systems. In particular, we compare different modulation and detection techniques, including multilevel modulation with coherent detection followed by advanced electronic signal processing for equalization of link distortions like chromatic and polarization mode dispersion. Biography: Benny Mikkelsen is the founder of Mintera Corporation, a provider of high speed subsystems for long-haul and regional networks. As Vice President of Systems and Technology, he is leading Mintera’s effort on next generation technologies and product strategy. Before founding Mintera in 2000, he was with Bell Laboratories, Lucent Technologies where his research included ultra high speed optical transmission and all-optical regeneration systems. 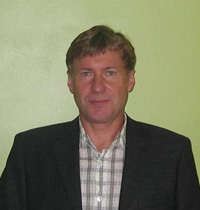 Benny Mikkelsen has more than 20 years of experience in optical communication. He has authored or co-authored more than 200 papers. Benny Mikkelsen holds M.Sc. and Ph.D. degrees in Electrical Engineering from the Technical University of Denmark.